Most sequels you can see coming a mile away, but Sicario 2: Day of the Soldado, definitely isn't one of them. Denis Villeneuve directed the first one, a drug thriller that launched Taylor Sheridan's unofficial law enforcement trilogy with Hell or High Water and Wind River. But the drug war flick never seemed like it needed a followup, unless it was going to do something like focus on mysterious killer Alejandro Gillick, played terrifyingly by Benicio Del Toro. Well, that's exactly what the sequel does. Bring it on. 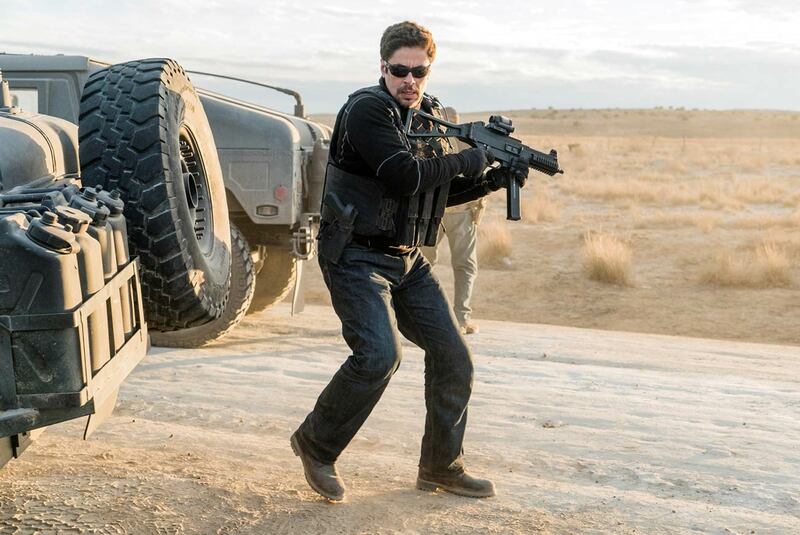 Sicario 2: Day of the Soldado opens June 29th and co-stars Jeffrey Donovan, Isabela Moner, Matthew Modine, and Catherine Keener.